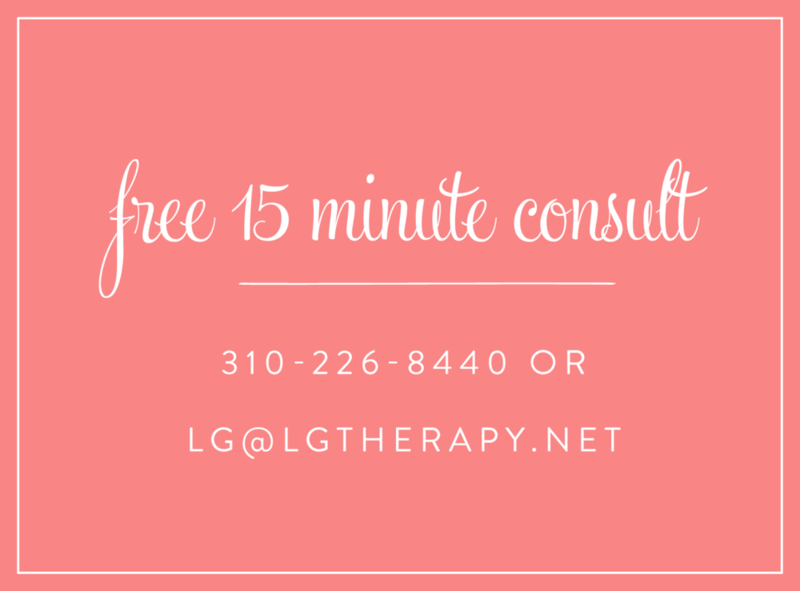 I'd love to have a conversation with you so please call me at (310) 226-8440 or email me at lg@lgtherapy.net. I offer a free 15-20 minute consult and am always happy to answer all your questions! SESSIONS AVAILABLE BY PHONE, OR VIA VIDEOCONFERENCING.